El Mesias was technically the last credible UWA Light Heavyweight champion, winning it from Chessman on 2007.09.16, but he was a bit too busy being carried to the back to ever actually physically hold this belt. This championship has been unified out of existence, replaced by the AAA World Heavyweight Championship. The championship - or replicas of the championship - have since turned up in the hands of El Pulpo and Super Nova among others. Both have defended the title, but neither is a member of a promotion where the championship is regularly defended. The UWA has long since ceased to exist, and those championships have little connection with this championship except for using a similar physical object. This championship was a major title during the 70s and 80s, including many of the major luchadors of the UWA during that era. As with all UWA championships, the light heavyweight championship chronology becomes murky and inconsistent after the UWA falls apart in 1995. This championship did become AAA singles championship in the early 2000s, which stabilized it a bit. Zorro was the most frequent champion during this time, and was the one who eventually ddropped it to Chessman in the first part of the AAA Heavyweight Unification Tournament. This turned out to be the start of a Zorro rudo turn. Chessman held the title only until the end of the tournament, where he lost to Mesias. Technically, Mesais picked up a championship reign, but it really only exists in record keeping. The title immediately became defunct, one of many superseded by the AAA World Heavyweight Championship. 17 Gran Hamada  Loco Zandokan 1989.??.?? ? 27 El Cobarde ? 1999.??.?? ? 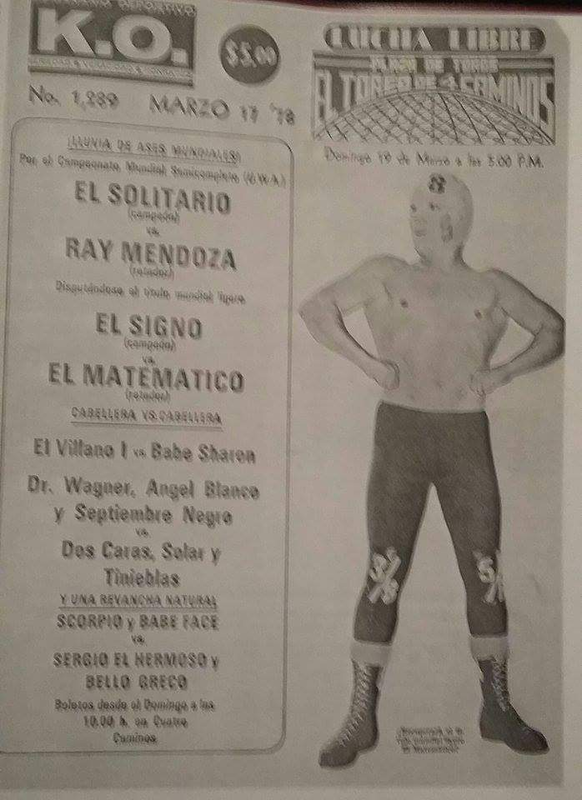 Hator was awarded an old WWA World Tag Team Title held by Antifaz del Norte, instead of actual UWA belt.